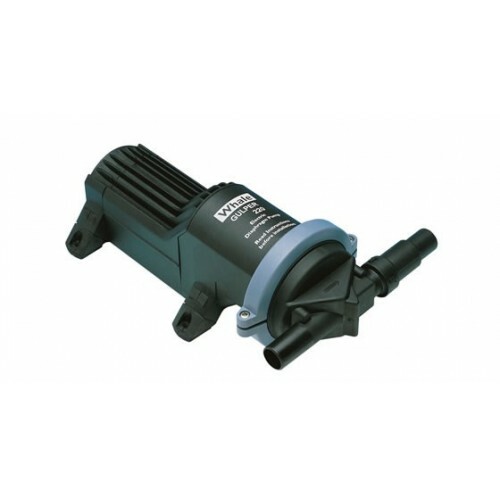 The WHALE GULPER 220 Shower Waste Pump WH BP1554 is a non-clogging filterless waste pump built on more than a decade of market leading pump technology. An ideal pump for handling shower or sink drain gray water waste. Flow Rate: 3.7 GPM, Port Size: 3/4" and 1". Nominal Voltage: 24 Volt DC, Current Draw: 1.75 Amps, Fuse: 2.5 Amp. Multi-Purpose Pump for Sink, Shower, and Tank Drainage.